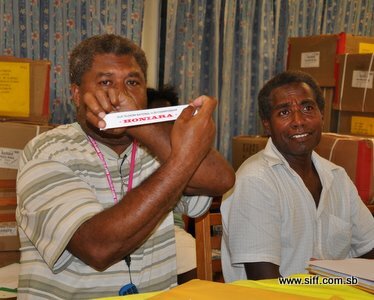 The eight (8) teams in the championship were drawn into 2 pools during the technical meeting attended by the participating teams at the Solomon Islands Football Federation (SIFF) conference room. Group A has been dubbed the ‘pool of death’ with Guadalcanal, Honiara, Malaita and Makira Ulawa expected to provide some of the fiercest competition as they fight for the top 2 spots. Both Honiara and Malaita are considered to be top contenders for the $20 000.00 first prize but the challenge from Guadalcanal and Makira Ulawa will be something both will need to address if they want to proceed to the semi finals. Group B features Western Province, Central Province, Lauru and Isabel with the road to the semis expected to be friendlier for certain names inside the list. The championship matches will start off at the Solomon Islands Football Federation (SIFF) academy field and move to Lawson Tama after the Honiara Football Association (HFA) Top 10 Championship finals are completed on Wednesday. Makira Ulawa is the only provincial side that is yet arrive in Honiara. Malaita, the latest arrival, shipped in this afternoon. The full fixtures for the competition will be released tomorrow.